Since 1987, Pellatt Design/Remodeling has been serving our clients in excellence in every design/remodeling and home repair project we’ve taken on. In our 29+ years, Pellatt has earned the respect of our clients and peers by displaying and promoting professionalism in our industry and instilling in our team, a philosophy of continuous improvement. By serving our clients and their family in excellence, we form a unique partnership, a lasting friendship, a relationship we refer to as Friends In eXcellence or FIX. Pellatt develops FIX by working with our clients to bring their ideas for their home to reality, insuring their expectations are exceeded at every milestone and through their projects completion. Once that FIX bond is achieved, we maintain it by serving our clients, their family and friends in excellence for life. Your bathroom should be clean, fresh, and pure. Recently, Luxury Bath Technologies® released the most innovative and exclusive product line in bathroom remodeling. This technologically advanced line of custom tubs and showers are only available through Luxury Bath, and designed to provide you with a custom, clean retreat. Every Luxury Bath is protected with Microban®, designed to inhibit the growth of mold and mildew. Each tub or shower is manufactured for your specific bathroom and professionally installed quickly, at just a fraction of the cost of a full bath remodel. GreenPro was founded in 1999 as a remodeling company. We have grown through the years with our customers. From remodeling kitchens and bathrooms to building custom homes, office spaces and custom closets we have had the honor of being the construction company of choice for our clients. It all starts with a small project and if we provide you with service, value and quality we have laid the foundation for a long term relationship. We look forward to working with you. The Finished Edge owner, Mark Gudbrandsen, began his career working for one of the largest furniture finishers, Abrahms Furniture. Continuing to work with artisans from all over the world including European finishers, he has a developed a widened sense of design and years of experience to help you redesign and refinish your next project. With over 30 years in the painting and remodeling industry, The Finished Edge has a reputation for high quality service and attention to detail. Pulling together these talents gives The Finished Edge a unique advantage to take your kitchen, bath, or bar area to the level it should be. At Cabinets & Design By Cozette, we specialize in the design and sales of a variety of cabinetry and accessories for kitchens, bathrooms, laundry rooms, etc. Our showroom contains a wide selection of woods species with different door styles. Soft close doors & drawers are standard features along with dovetailed drawer boxes. Most cabinet lines now carry a 10 year limited warranty. All cabinets are made for you per your order. Custom doesn’t mean high pricing! Solid stain finishes range from frosty white to charcoal to ebony with other color options of buttercream, sage, & brick red. Stain options are endless in many variations from natural to toffee. You can truly create any look from contemporary to the classic old world with glazing,distressing, worn edges, rub thru, splattering & rasping. We can help add that personal touch to any room of your home. Four lines of cabinetry permits the flexibility to fit most budgets. We also carry countertops from standard plastic laminate to solid surface, cultured marble, natural stone, and quartz. With all of this, and more than 18 years of experience, you can rest assured we will help you find the right look with a price to fit any budget. Our service continues from planning to completion, to assure your satisfaction. We've been providing Southeastern Wisconsin with plumbing services for more than 40 years. Our experienced technicians are factory certified to ensure professional workmanship and years of dependable service. 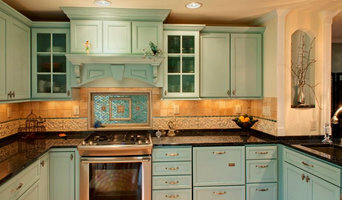 In addition to array of plumbing services, Oak Creek Plumbing also provides superior kitchen and bathroom remodeling. From concept to completion, our goal is to help you rejuvenate your home and achieve the perfect balance of tradition and innovation while keeping it within your budget. Meet Gerry Lycholat, Cindy (Knutson) Lycholat & Debbie Berndt! Knutson Bros. II LLC (a.k.a. KB2 Remodeling) is a small, local, family-owned & operated Wisconsin LLC founded by Cindy (Knutson) Lycholat and her husband Gerry Lycholat in 1994. Prior to founding KB2, Cindy was Vice President of a remodeling firm in West Allis, Wisconsin. We believe good business is based on both corporate and personal integrity. We live and work in southeastern Wisconsin near East Troy. We are neighbors. We shop where you shop and we believe in giving back to the community. We are personally involved in every project and are very proud that most of our business is as a result of referrals from past clients. We choose to stay near the communities in which we live, focusing on remodeling and home repairs in southeastern Wisconsin in the counties of Walworth, western Racine, and western Waukesha. We are proud members of the Lakeland Builders Association. It is a really BIG deal for a 3-person firm in rural Wisconsin to receive the National Remodeler of the Year and the Wisconsin Builder of the Year awards. And we're very grateful. If you're looking for a local remodeler that can bring you the best design and remodeling capabilities, please include us early in your project consideration. We are experienced at working with difficult home sites. Call us at (262) 642-5211. AIP Custom Builders and Remodeling Contractors offers unparalleled quality and innovative design for every project. We strive to give our customers exceptional service with their custom home building or home remodeling experience. By fusing innovative design techniques with the highest craftsmanship, our customized renovations and room additions will increase the functionality, the livability, and the overall value of your home. We design our home renovations, improvements and additions to meet and exceed our client’s current AND future expectations. 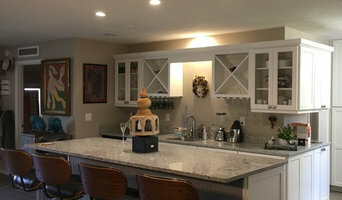 AIP Custom Builders and Remodeling Contractors is a full service, custom home, home addition and home remodeling company. 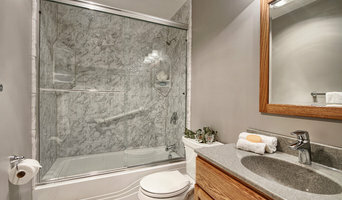 We specialize in bathroom remodeling, kitchen remodeling, basement remodeling, room additions, and exterior home renovations. As residential general contractors, we offer all design-build services including upfront architectural input and complete project coordination. We have the local experience and knowledge you want for your home remodeling and home building experience. Whether you need a home elevator, a first floor master bedroom, an in-law suite or a complete home renovation, AIP Custom Builders and Remodeling Contractors has the expertise and industry knowledge that makes us the premier custom home remodeling company. AIP – Age in Place Custom Builders are also Certified Aging in Place Specialists, and are the premier choice for custom home mobility solutions, accessible home modifications and designing wheelchair accessible bathrooms and kitchen modifications. Integrity – We treat every project as if it were our own, and create individualized barrier-free environments and independent living solutions utilizing the principals of Universal Design. We work with your unique situation and signature tastes to make your home livable for any chapter of life. 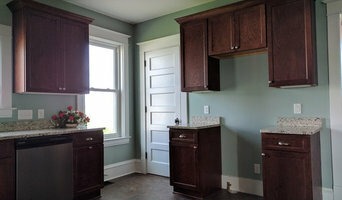 I specialize in Kitchen and Bath remodeling for residential homes.